how to get rid of cellulite | escaped. 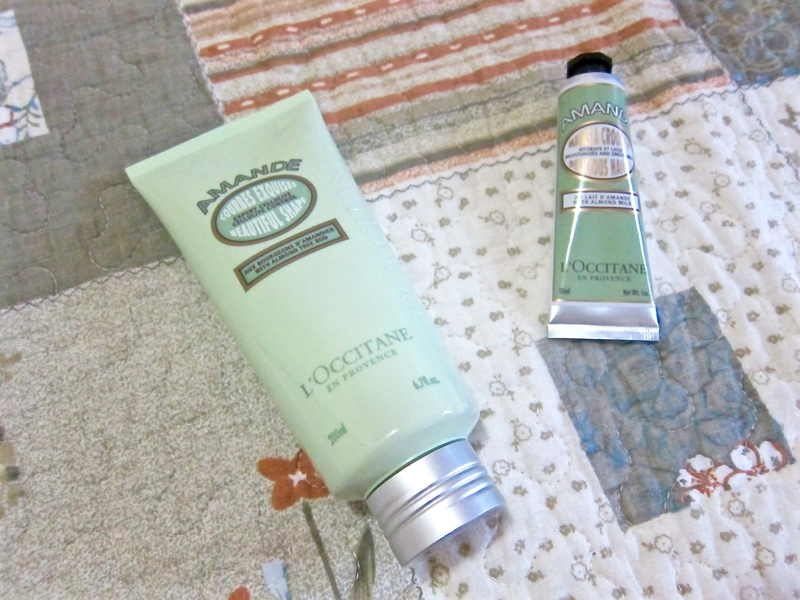 I've been using L'Occitane hand cream for a while now. Got it from the store and have been applying it religiously every morning, when I reach the office - that it's becoming my own morning ritual. Can't help it. The smell is so good, I think it's bad that it makes me want to eat my own hands on Ramadan -_-"
Finished 1 whole tub of the hand cream, which is miraculous for a person who never finishes any hand cream product I've ever gotten since I was old enough to care for soft silky hands. Really. The scent of the almond oil is so delicious I can't even! So in love, that I returned to the store..to get a new tub, and a body toning lotion from the same range. During pregnancy, I was lucky enough though that I didn't stretch marks, I think because I applied treatment oil from Clarins and numerous stretch marks cream bought from pharmacy throughout my pregnancy haha. So I bought the Almond Beautiful Shape and have been applying it for weeks now. At first when I read the reviews on the internet, I had low expectations - no one says the cream "work wonders", per se. So I kept my low expectation but still religiously applying it every night. Guess what. Last few nights, I noticed that most of the cellulite lines have DISAPPEARED. There are still a few left here and there, but veryy veryyy minimal that I almost didn't notice! So happy I could cry. If you're a girl, you'd understand. Another bonus point? It smells like my pantang oil - but in a good way. The herbs' smell doesn't bother me somehow, and the texture is not so oily that it feels smooth upon application. Can't believe I found a product that works on cellulite!